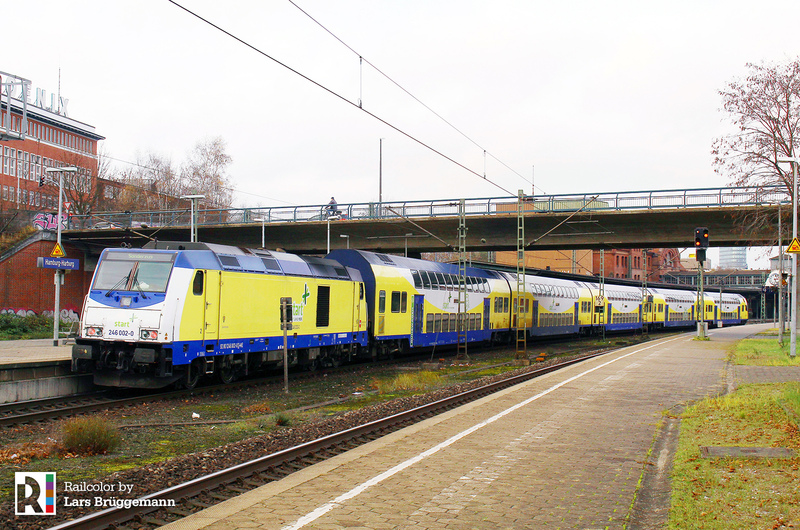 It is already December and time has come for a new ‘Start’ on the Cuxhaven – Hamburg line. The familiar yellow/blue push-pull train sets can be now seen wearing new logos. We thank Lars Brüggemann for sharing his photo. Visit his website for more interesting photography. While it will certainly take some time to get used to the absense of the Metronom logos, a more substantial update for the LNVG fleet is already on the way. Bombardier will modernize 88 locomotives and double deck coaches of the Landesnahverkehrsgesellschaft Niedersachsen fleet. Konstantin Planinski is a communication expert who is passionate about graphic design, photography and - you guessed it - railways! He's also a licensed train co-driver.